The lies just never end. Non-transparency is the hallmark of a totalitarian regime. Enter the Obama Administration and their Marxist love child, Obamacare. Jonathan Gruber is a very evil man, but at least he spoke the truth. Obama and his cohorts view the American public as deeply stupid and that they don’t know what is good for them. Obama and the other Progressives feel they must ‘take care’ of Americans… rule over them, because otherwise, they are just stupid sheep that will walk themselves off a cliff. The problem with that is, it is demonstrably untrue – which the Left experienced firsthand in last week’s elections. It’s not nice to fool Uncle Sam and it will get your keister booted out the door. 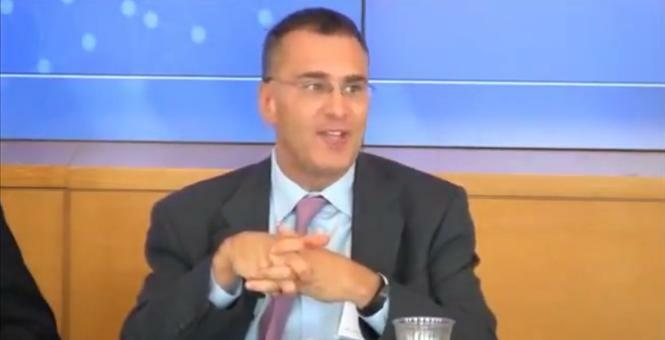 Meet Jonathan Gruber, a professor at MIT and an architect of Obamacare. During a panel event last year about how the legislation passed, turning over a sixth of the U.S. economy to the government, Gruber admitted that the Obama administration went through “tortuous” measures to keep the facts about the legislation from the American people, including covering up the redistribution of wealth from the healthy to the sick in the legislation that Obamacare is in fact a tax. The video of his comments just recently surfaced ahead of the second open enrollment period for Obamacare at Healthcare.gov. Obamacare has been a lie, wrapped in a sham from the beginning and Americans know it. But Obama feels that the means justify the ends as long as his agenda is carried out. You’ve got to break a few bloody eggs when making a socialist omelet. It’s been a tax from the beginning and was always meant to end in a single payer system. We now have fewer doctors and far less care, for much more in costs. Obama has taken the very best healthcare system in the world and trashed it. Obamacare in its entirety needs to be repealed and dumped on the fascist scrap heap of Obama’s failed legacy.